The gnashing of my teeth. The anguish and wailing of his daughters. One day, not so very long ago, you had a glorious idea. The idea took on a life of its own; you could see it blossoming before your very eyes, it was so beautiful, so simple, and yet, it now lies in ruin. Why you ask, has this disaster come to pass? It was all so perfect and yet, it has come to dust. 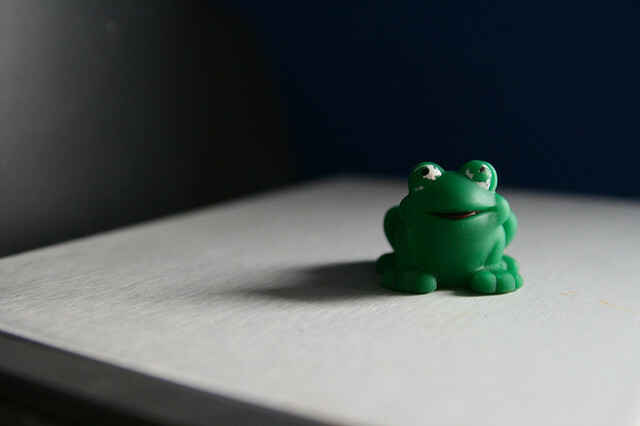 Little frog, let me tell why: cash flow. 95% of business fail in the first 5 years. I tell you now, I’ve seen business come and go in less than 6 weeks. How is this possible? Little frog, let me tell how: cash flow. I’ve had start-up business tell me that they want a system for 4 agents growing to 100 agents. I love a good belly laugh. I hesitate to use the term ‘plain stupid’ in a blog, principally because my marketing team will berate me for days, so lets go with ‘naive’. Every self help book will tell you to think big and that’s fine, but you need to grow within your means. So how do you avoid the fall of our little friend? What do you need to succeed? How do you grow within your means? So lets start with some basic terminology that you simply MUST understand. And don’t give me ‘But I’m only a little frog’. If your not prepared to learn to swim then don’t get in the water. Gross Profit is the difference between what you bill a customer for a product 3 and the ‘direct costs’ of purchasing that product. These costs are referred to as the ‘cost of sales’. The ‘cost of sales’ is directly linked to the amount you sell. e.g. you buy a widget for $5 and sell it for $12. Your gross profit is $7 ($12-$5) and your cost of sales is $5 (the price of the widget). Net Profit is the Gross Profit less what it costs you to run the business; such as wages, rent, heating etc. These are often referred to as ‘Indirect Costs’ or Overheads. Overheads are usually fixed and you still incur them even if you make no sales. Capital is the cash you put into the business to get it started in order to buy things like Cars, Computers etc. Cash Flow is the moneys you receive and the payments you make each month. The ‘Net Cash Flow’ is the difference between these two amounts. i.e. Net Cash Flow = payments received – payments made. If business is going well, then each month Net Cash Flow will be a positive number. Oh and don’t forget about Tax and the implications on your Cash Flow! Working capital is the cash required to keep the business operational. cash flow and working capital are intimately linked. Working capital is the cash required to fill the hole in your bank balance caused by the business’ cash flow requirements. The first mistake that start-ups make is that they think profit equates to cash flow. The logic is; if I’m making a profit then everything is just great. Well if you think that, then you are dead wrong and my Little Frog, a great fall awaits you. New business owners are often surprised by just how long it takes to get paid, not to mention the occasional bad debt (where you don’t get paid at all). Even if you can get terms from your suppliers (i.e. they let you pay 30 days after receiving the goods) you still need to pay staff on time. So essentially you need to assume that you are going to have a gap between when you have to pay and when you get paid. So how do you fund this gap? That is what working capital is for. Working capital is the cash you have in the bank to fund the gap in your cash flow. Every business needs working capital, just how much you need is harder to answer. As an established business we like to have a full month of revenue as working capital. As a start-up you are likely to require more. Perhaps 2-3 months of expected costs, more if you don’t expect to be profitable in the first few months. Even more, if you THINK you are going to be profitable, because you are probably wrong! Perhaps the most counter intuitive piece, is the fact that success and the related growth can send a business broke. When a business starts growing, it sells more things, needs more staff and everything else required to deliver a greater volume of product. So if you are selling more things, then you are having to buy more things. And even if your customers pay on time, the amount of working capital you need in the bank is going to increase. And this is why we roll around the floor laughing when a start-up tell us they are going to grow from 4 to 100. The chances are that they are going to grow from 4 to 0, because clearly they don’t understand cash flow. Managing your cash flow during periods of growth is critical. As a start-up, by definition, anything you do is going to be growth. If you don’t know how much working capital your need, or you don’t have enough working capital, then to put it simply, DO NOT START A BUSINESS! Then maybe I won’t need to lament your doom. Enjoy the fresh air, whilst you can, Little Frog. Whilst this is a tale of woe, lament and doom. Don’t let it put you off starting a business. It’s one of the greatest things I’ve ever done. Just be realistic, plan your growth, do monthly cash flow estimates and grow within your means. And do the same thing with your IT guy. If you were looking for some mamby pamby self help guru your in the wrong place. I’m using the terms product and service interchangeably here as it makes no difference.